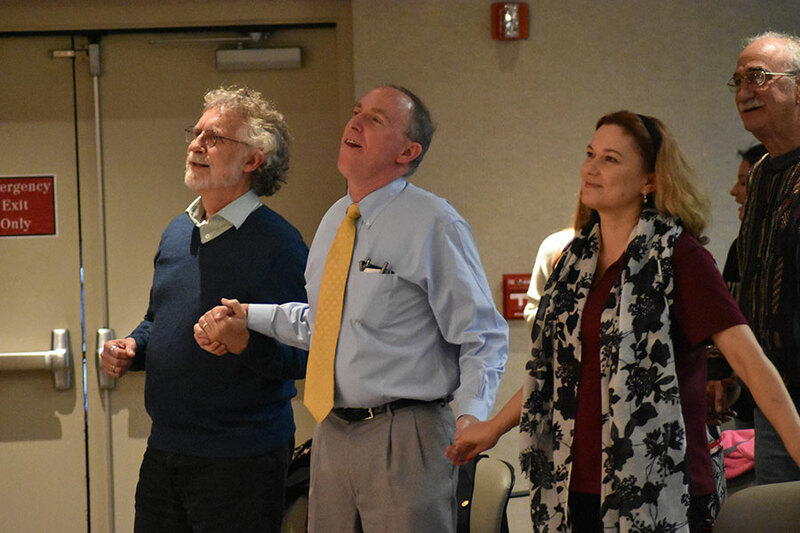 Florida State University students, faculty and staff stood hand-in-hand and swayed back and forth to songs in tribute of the late Nelson Mandela, during a lecture on the South African leader’s legacy Tuesday, Jan. 29, at the Broad Auditorium in the Claude Pepper Center. 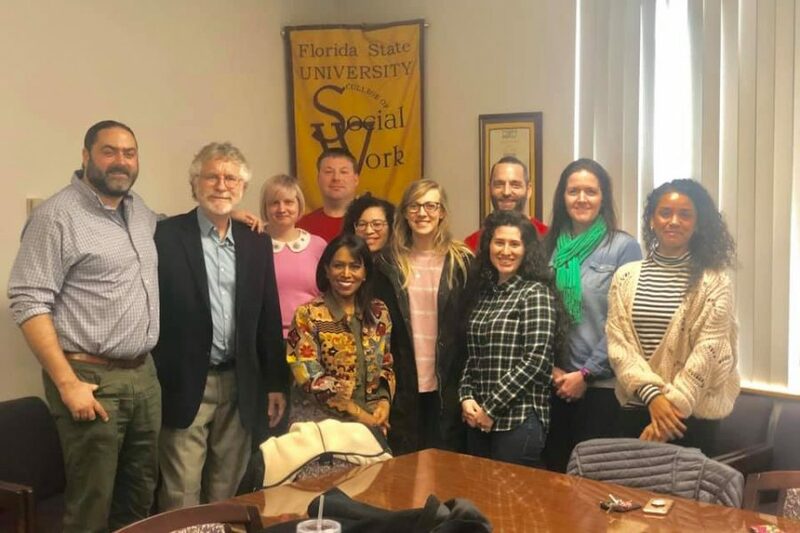 The talk, sponsored by the FSU College of Social Work, Center for the Advancement of Human Rights, the Center for Global Engagement and FSU’s new Civil Rights Institute, concluded Sewpaul’s 9-day visit to Florida State. 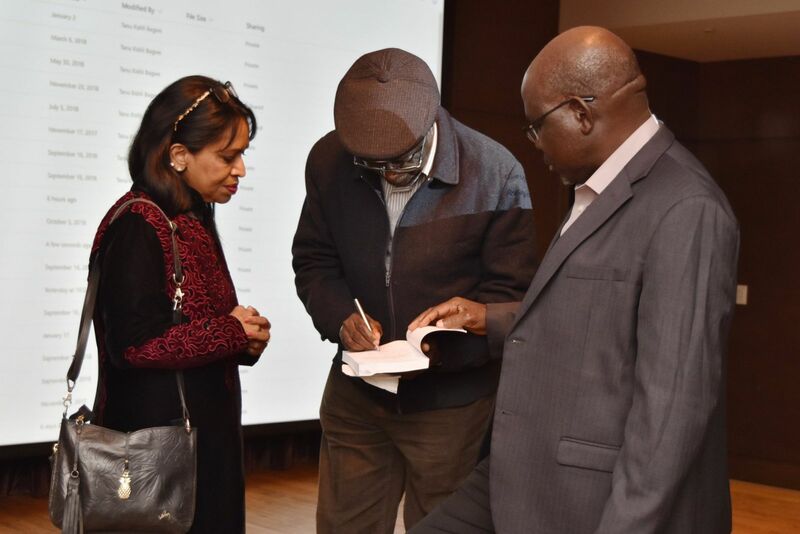 Sewpaul talked about the life and legacy of Mandela, from his previous ideologies to his imprisonment to his freedom and ultimate rise to the presidency of South Africa. 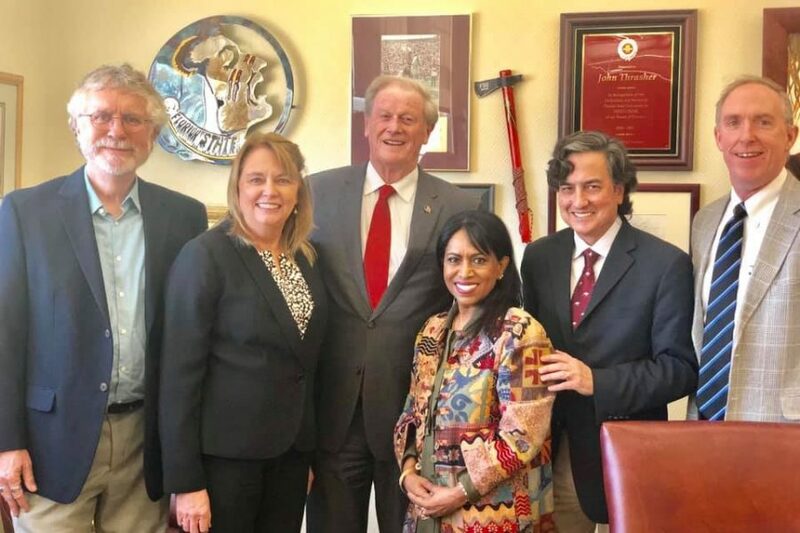 She discussed his utopian ideas regarding how South Africa and the world ought to be, rather than what it was ­— full of hate, racism and discord. She encouraged attendees to live as Mandela did with personal integrity, love, compassion, humility and forgiveness. “Mandela’s humility was his greatness,” she said. Sewpaul also talked about her own life growing up in South Africa under apartheid. “Every law said that I was inferior and that manifested in every sphere of my life,” she said. 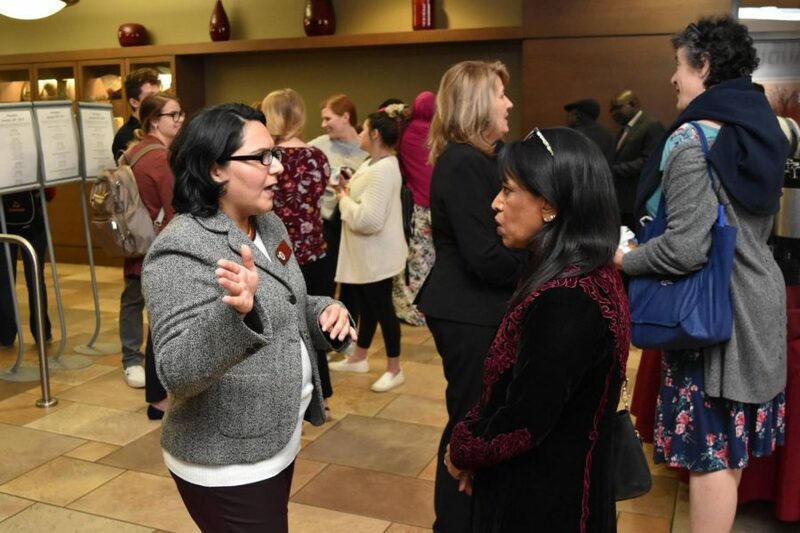 She credited her high school instructor for helping her change her outlook on society and her own ability to bring change. 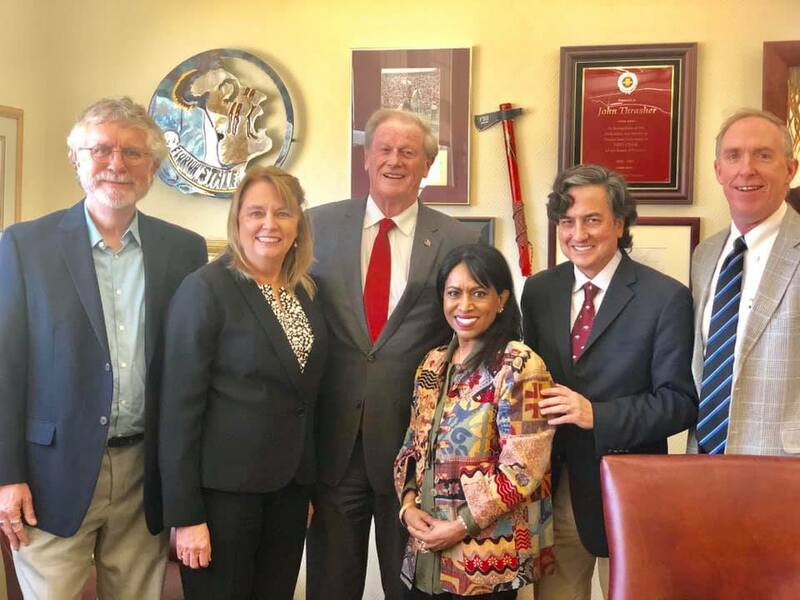 Sewpaul closed her talk by reflecting on the power of the collective — working together for the common good — with a quote from an ancient Hindu text, the Bhagavad Gita. 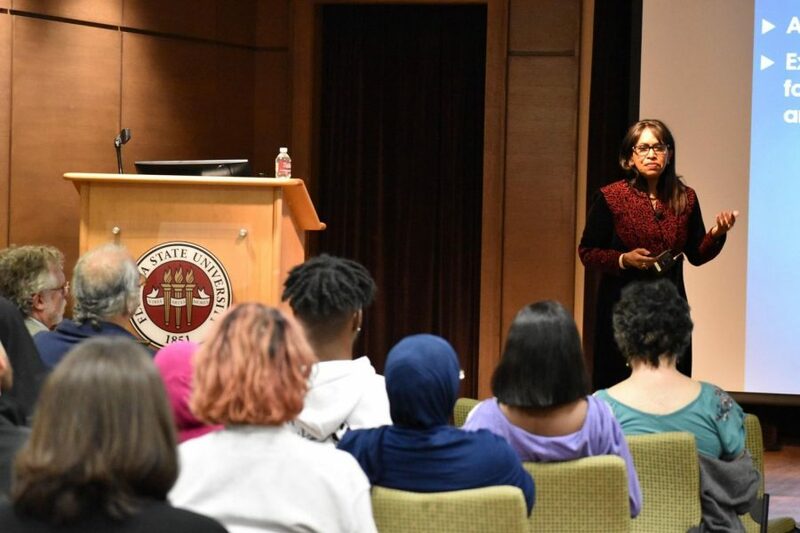 During her visit to FSU, Sewpaul served as a guest speaker for various classes, met with other faculty and students from across campus and provided an additional public lecture on the topics of social justice and transformation. 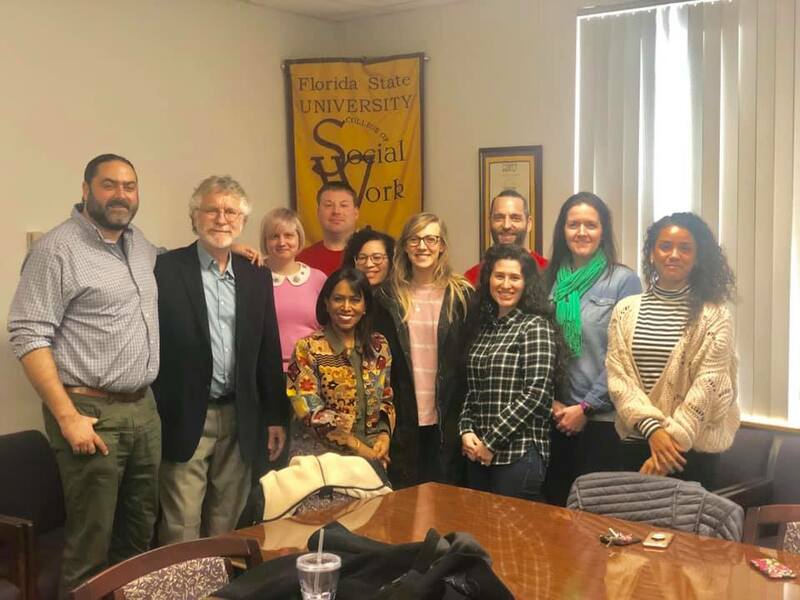 Sewpaul was invited by FSU Social Work Professor Neil Abell. Sewpaul has published in the areas of social justice, human rights and international social work. 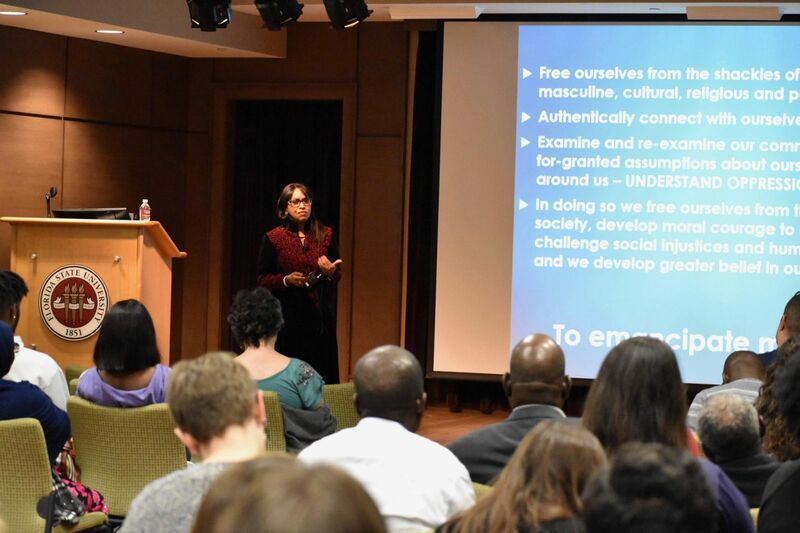 Her expertise focuses on vulnerable populations, globalization and community work. 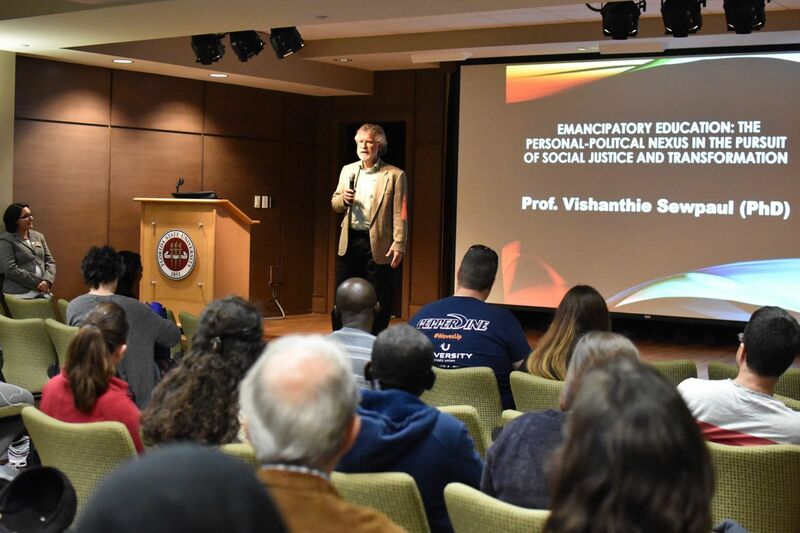 A professor emeritus of University of KwaZulu Natal in South Africa, Sewpaul was at the forefront of policy and social work education in post-apartheid South Africa. 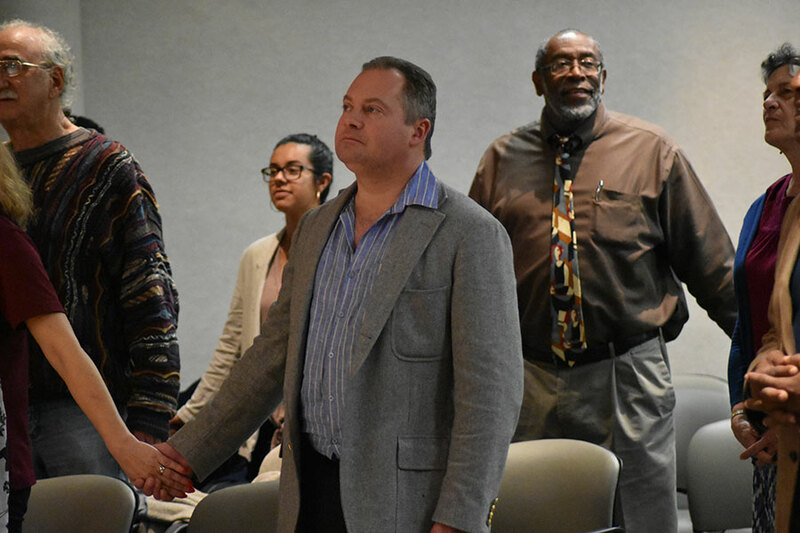 A leader at the local, national and global levels, Sewpaul served as president of the National Association of Social Workers, South Africa, the first ever non-racial professional association and the Association of South African Social Work Education Institutions. In 2013, the Ministry of Science and Technology in South Africa acknowledged her with a Distinguished Women in Science Award for her “outstanding contribution to building South Africa’s scientific and research knowledge base.